How many sticky notes with scribbled passwords do you have? How about that spreadsheet? Tough to keep updated and secure with so many different systems and re-using that same password over and over again. Yup, I have seen them all. Sticky notes, tape under keyboards, you name it. Passwords written everywhere. 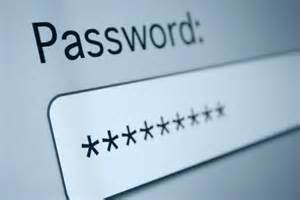 Use complex passwords – complex means a variety of upper case, lower case, numbers and special characters. Do not re-use passwords on different sites. Keep passwords long 8+ characters, 12 or more is even better. I can see many of you saying – yeah right! Way too complicated and too much to manage. I will continue to use PassWord1 – no one will guess it. If managing the complexities of passwords seems too much, there is help for that – use a password manager. My favorite is LastPass. LastPass is available for computers and as an app to put on smartphones and tablets. When you use a password manager – many of them have a utility to generate a password. 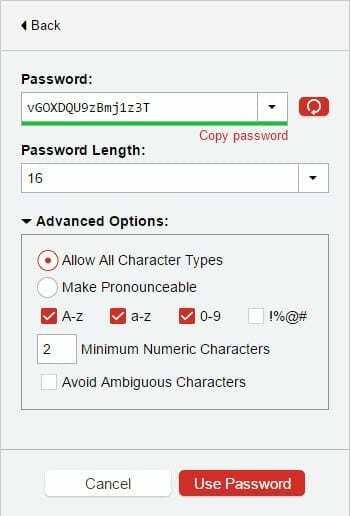 For LastPass I set it to use 16 characters, numbers, upper and lower case letters. Have the password generated. Let LastPass manage it – done! When you setup the password manager you will need to create a master password. This is the only one you need to remember. This should be a phrase and not just a few characters. For example you can use: I-love-2-play-Golf! This will work as a very secure password yet is easily remembered. There ya go – remember one password and get even more secure! thanks Dennis! I use 1Password and have for years – it was recommended to me by our VP – IT at my former company. I love it. I don’t need to have any other resource for my hundreds of different passwords and it shares to all my apple devices very nicely. One very important thing about this is if something should happen to me, Wayne knows the main pw to get into 1password and so he will then have access to all of my accounts as needed. I think as we age (- or even not age – anything can happen to any of us at any time!) it is a good way to give access to our accounts to our loved ones in case of emergency. Anyway thanks…this is a really great blog item and one thing I am really passionate about! Yes, share your main password with a trusted person in case of emergency. Awesome addition! Appreciate you sharing this information. Best to Wayne!